I’m not going to do full reviews of the new series of Doctor Who, which started last night on BBC1. But I thought I might try and come up with ten points I liked, didn’t like, or thought worthy of further discussion. Hence, Ten Things About Who. If you haven’t yet seen the episode, what the hell are you doing here? Go and watch it, and don’t come back to this post until you have done! 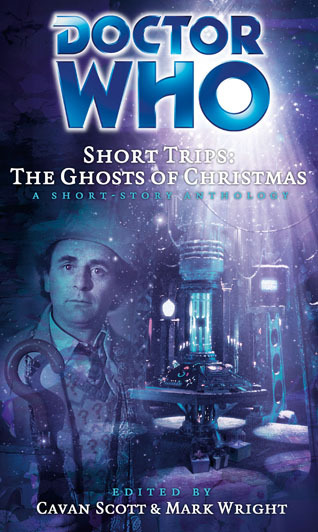 As I said back in October, my short story, Tell Me You Love Me is going to be included in the forthcoming anthology, Doctor Who Short Trips: The Ghosts of Christmas. The Big Finish page for the book now includes an image, as well as a free PDF of one story from the collection – Faithful Friends, Part 1, by the book’s editors, Cavan Scott and Mark Wright. It’s sad, though: my story features William Hartnell’s Doctor and the original TARDIS crew. Characters that were created at least in part by, and wouldn’t be remembered today without the inimitable talents of, the late Verity Lambert, who died on Thursday. Thank you, Verity, for creating such a remarkable series, and for letting the likes of me play in the sandbox from time to time.